Did you know that the number of internet users in Africa has increased from 4.5 million in 2000 (0.6%) to 110 million (10.9%) in 2010? Did you know that 90% of the entire world population is now covered by mobile networks (and 80% in rural areas)? Where did we learn these amazing figures?A representative of Sproxil recently attended September 15, 2011 The Power of Information (PoI) Conference, co-hosted by Indigo Trust, Omidyar Network, and Institute for Philanthropy (Kings Place London). 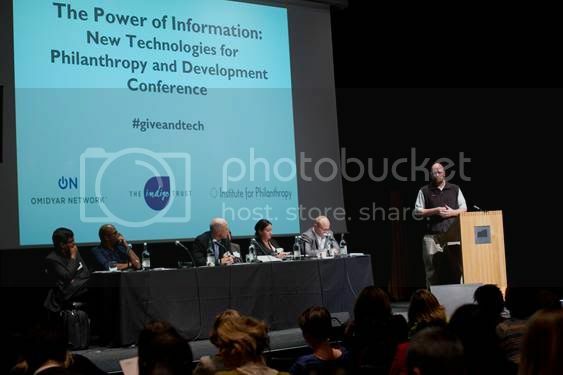 The conference focused on 'New technologies for philanthropy and development' and afforded the opportunity to practitioners from around the world to see all of the incredible innovations that information technology has contributed for social change. The conference covered a vast range of topics relating to information technology, such as the impact of IT on healthcare and economic development, the ability for IT to afford greater transparency and accountability for government, encourage innovation and business IT development, and stimulate global social change and political involvement - he list goes on! Among the keynote speakers that graced the conference were Wikipedia Founder Jimmy Wales, Indigo Trust's William Perrin, Sodnet's Philip Thigo and GSMA's Chris Locke. Attendees of the the PoI Conference left with greater knowledge of the current and potential power of information technology, hope for the future, and recognition of the immense value of meaningful collaboration. We are excited to share some great photos from the event. Don't worry, there are more photos after the jump! Shots of the Panel of Speakers featured at the conference. More shots of a few speakers and presentations. We loved the passion people had for IT! "We recognize that technology will never be the panacea to all of the world’s problems, but we do passionately believe that it has an increasingly important role to play in improving lives and strengthening society. We hope that you too share our vision and our hope for the future." Sproxil would like to thank Indigo Trust, Omidyar Network and the Institute for Philanthropy for organizing this conference. Omidyar Network Omidyar Network is a philanthropic investment firm dedicated to harnessing the power of markets to create opportunities for people to improve their lives. Established in 2004 by eBay founder Pierre Omidyar and his wife Pam, the organization invests in and helps scale innovative organizations to catalyze economic and social change. To date, Omidyar Network has committed more than $383 million to for-profit companies and nonprofit organizations that foster economic advancement and encourage individual participation across multiple investment areas, including microfinance, entrepreneurship, property rights, consumer Internet, mobile technology and government transparency. To learn more about Omidyar Network, please visit www.omidyar.com. The Institute for Philanthropy Established in 2000, the Institute for Philanthropy is one of the world’s leading organisations providing international donor education; its staff brings more than 50 years of experience at the highest level in strategic philanthropy. With offices in London and New York, we work closely with a global network of wealthy individuals and families, and in partnership with private companies, trusts, foundations and schools. We work to increase effective philanthropy in the United Kingdom and internationally. We do this by (1) providing donor education; (2) building donor networks; and (3) raising the awareness and understanding of philanthropy.